In the first room is a representation of a Neolithic, one-storied, clay house with its own housework (tools, stone, coral, earthenware, necessary for the daily Neolithic needs), a loom, figurines and ritual vases along with wooden benches, . 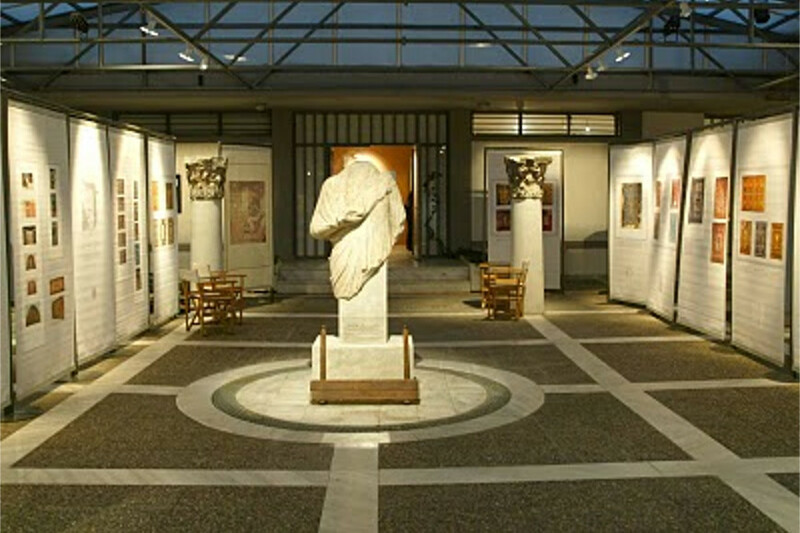 The museum also exhibits samples of Attic pottery (6th and 5th centuries BC), a marble bust of Dionysus, which is the oldest worship of the god in the wider region, a treasure of 860 coins by Philip II from excavations in the Potamos as well as other finds from the ancient settlement of Drama (4th century BC). Also important are the grave gifts, among which are those found in a Macedonian grave of Hellenistic times of the 2nd century AD. BC Since the Roman era, most of the findings have come from the city of Philippi, such as the bronze statue of Zeus, but also from other areas such as the tombstone of Tiberius Claudius Maximus found in Grammeni. The findings come from the entire prefecture of Drama (Drama, Kalis Bryssi, Grammeni, Prossotsani, Platanias, Potamos). 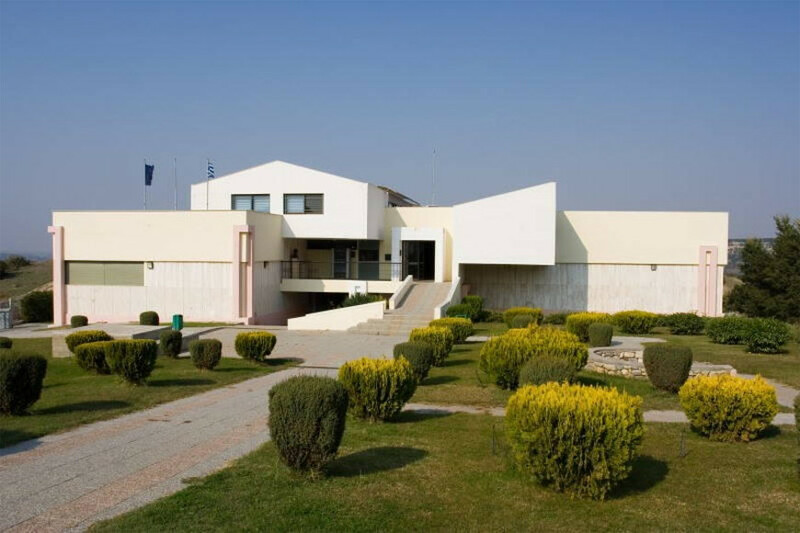 The Archaeological Museum of Philippi was built in the 1960s, according to the designs of architects JD Triantafyllidis and D. Fatouros, on the outskirts of the Philippi archaeological site. 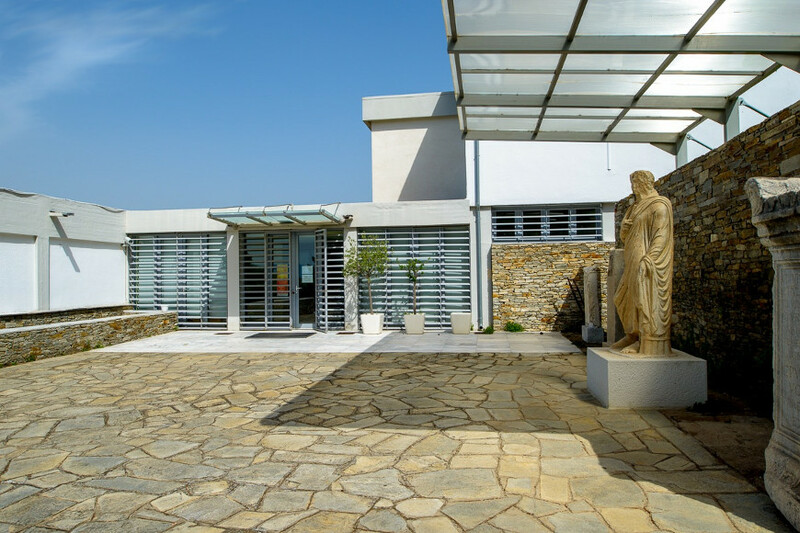 The building has two exhibition areas for the permanent presentation of the finds from the excavations of the ancient city: Module A: It occupies the entire ground floor and has an area of ​​380 sq.m. 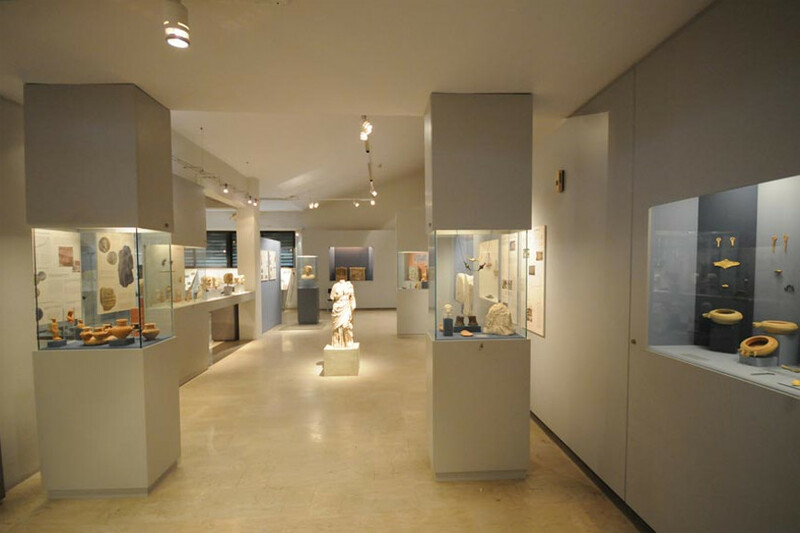 This section presents archaeological (inscriptions, sculptures, vases, coins, jewelery), historical and surveillance material of the city of Philippi and its region from prehistoric times to the end of Roman antiquity. Amphipolis is located at a distance of two kilometers from the Thessaloniki-Kavala motorway at Serres, Drama, just above the estuary of the river Strymonas. There is the large archaeological site and museum. The Museum is housed in a new building completed in 1995. All finds come from the surrounding area and reflect the timeless path of the city. Entering the museum, one sees the silver reliquary and the golden wreath of olive leaves found in a tombstone at the founding of the museum. a) Prehistoric times (from Pangeo and Kettle Tepes hill) showing the continuous presence of man from the Middle Neolithic Era to the Early Iron Age (5000 BC – 750 BC) b) Antiquity (from Kasta hill and from the cemetery of the Iron Age to Amphipolis). During this period the penetration of the Greek civilization in Thrace begins, as evidenced by the findings, mainly ceramic, in graves. c) Classical and Hellenistic times. The city of Amphipolis itself was founded in 437 BC. by the Athenians. 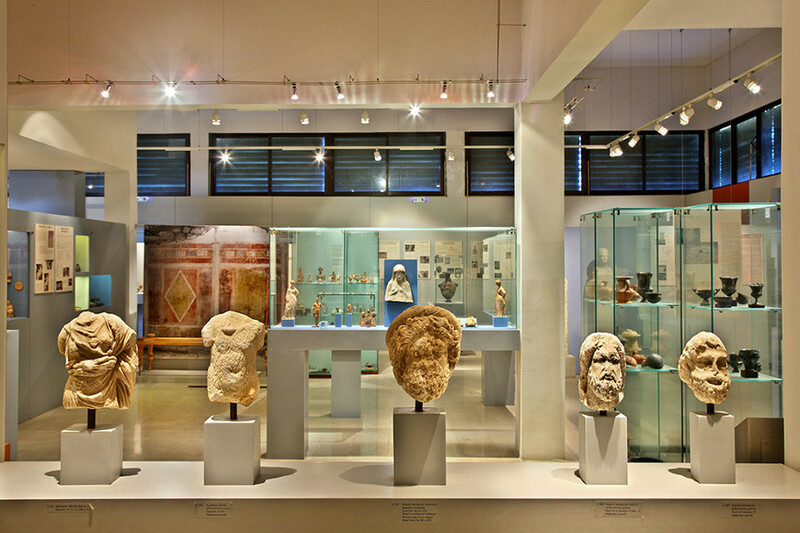 The most important exhibits of this period come from the sanctuaries dedicated to local gods (Nymph, Muse Cleo, Roussos, Strymon) and the twelve (Athena, Aphrodite, Artemis) and heroes (Hercules, Dioskouroi) (from the ancient high school, the Hellenistic cemetery, the Hellenistic house, and excavations in the archaeological site). 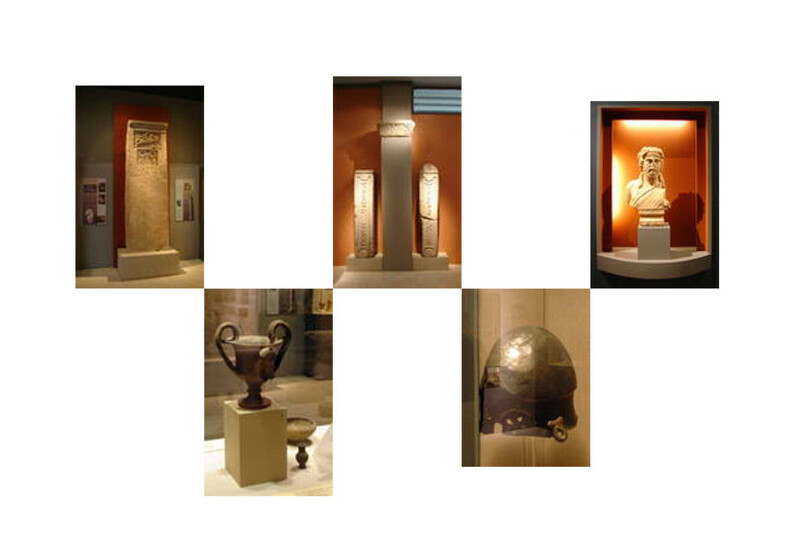 Apart from the relics of the sanctuaries, there are many exhibits showing the public and private life in Amphipolis (coins, vases, sculptures, jewelery, miniature crafts). The citations of the necropolis show the richness and social position of the dead (vases, figurines, , jewelery). One of the Forts, the Fortress Lise, was built in the hill that rises in the plain of Nevrokopi and is located to the east of the fortress village. 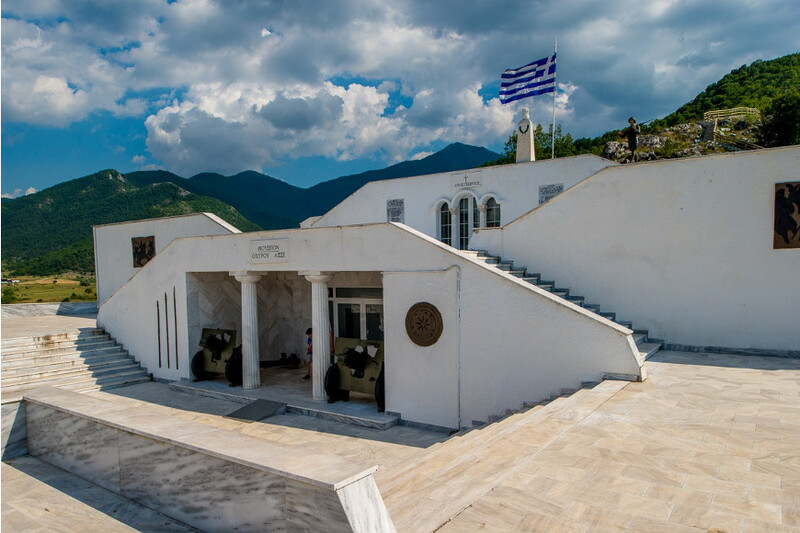 Its fortifications consist of four groups of galleries (Turtles) all over the hill, with underground galleries exceeding 950 meters in total. Two of the clusters of galleries communicate with underground passages, while the other two are autonomous defense facilities. The Fort had facilities, accommodation and storage facilities, water tanks, power generators, armaments and military vehicle seats. The Force Lise strength consisted of 12 officers and 457 hoplites. 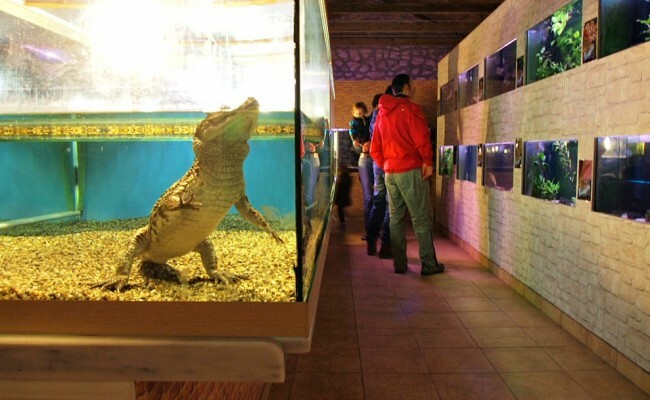 The Mylopotamou Aquarium is located 7 km west of the city of Drama in the Mylopotamos Municipal District towards the cave of Aggitis and the ski resort of Falakro. 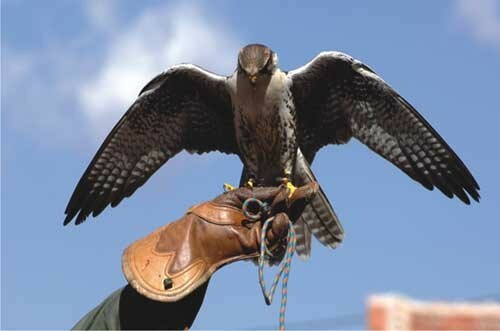 It is housed in an old stone refurbished watermill next to the Mylopotamos. 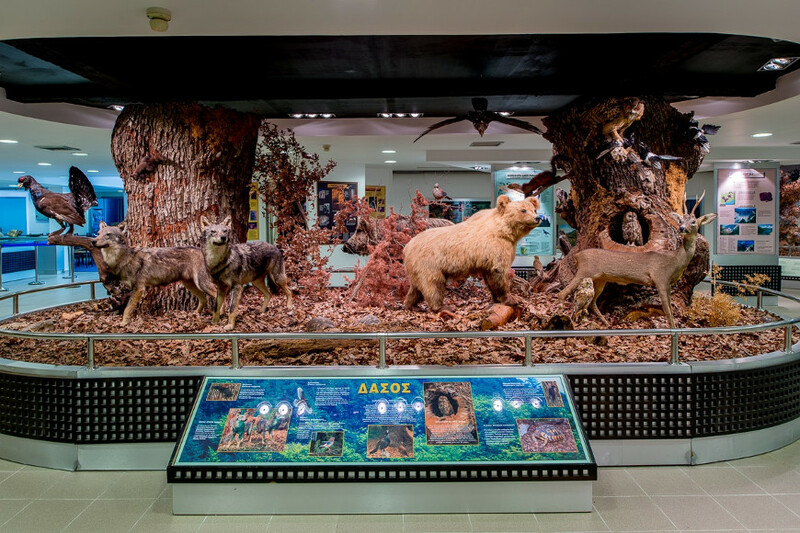 The Aquarium hosts only freshwater species and mainly from the Nestos and Strymon River The fish of our country’s inland waters are one of the most important parts of Greek fauna and is considered by the experts to be the most threatened.